Our garden this past December (2013), was subjected to five consecutive nights with temperatures in the mid to low 20ï¿½s (ï¿½F). These 20ï¿½ F. temperatures were devastating to most of our geraniums (Pelargoniums). Having experienced last winterï¿½s (2012-13) many cold nights (temperatures below 32ï¿½F), I was well prepared to protect all the Pelargoniums (geraniums). All plants were covered with old bed sheets or commercial row cover material. Last year, most plants with this protection came through the winter with minor damage. At the end of December 2013, most plants were severely damaged - most were frozen down to ground level. The situation was compounded by the fact that we had a very mild autumn, with night temperatures in the 40ï¿½s and 50ï¿½s. (In this part of California our night temperatures run in the 50ï¿½s even in the summer.) The result of these mild temperatures meant that our plants had no period of hardening (i.e. developing a tolerance of low temperatures). 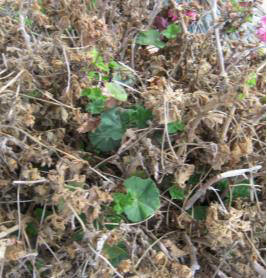 An inventory in January 2014 showed that 20% of all the frozen regals were without any sign of regrowth, while 30% of all ivy geraniums showed no sign of recovery. (Zonal and angel geraniums were less severely affected because they were given special protection under a tarp-covered framework.) The lowest temperature recorded was 22ï¿½F. cells and continues to contribute to the growth of ice crystals in the intercellular spaces. As the crystals grow larger they may begin to exert pressure on the surrounding cells. It should be borne in mind that as water freezes it expands by about 9%, further increasing the pressure build-up caused by ice crystals. If the crystals grow large enough, they may penetrate the cell walls and cell membranes of the cells of the plant. Damage to the cell may result if the cell membrane is disrupted, in which case the cell(s) will die. As water is removed from the cell during ice crystal formation in the intercellular spaces, the concentration of dissolved substances within the cell increases and lowers the freezing point of the cell itself. The removal of water from the cell may result in dehydration of the cell and if this continues may result in damage to the cell and perhaps its death. At low temperatures, ice crystals may form within the cell itself ("intracellular freezing"). Depending on the plant, such crystal formation may be very disruptive of the cell structure and may cause irreparable damage and death of the cell. It is worthwhile to look at the severity of freezing events to understand where our conditions fall. LIGHT FREEZE: 29ï¿½ F to 32ï¿½ F (-2ï¿½C to 0ï¿½C). Tender plants killed with little destructive effect on other vegetation. MODERATE FREEZE: 25ï¿½ F to 28ï¿½ F (-4ï¿½C to -2ï¿½C). Wide destruction on most vegetation with heavy damage to fruit blossoms and tender semi-hardy plants. SEVERE FREEZE: 24ï¿½ F (-4ï¿½C and colder). Heavy damage to most plants. As you can see, except for very tender plants like tomatoes, a light freeze probably has no effect on Pelargoniums. However, a moderate freeze, which we have a few times each winter on the Central Coast will be detrimental to flowers and leaves of many of our geraniums. Very thin stemmed plants like the Angels many suffer severe damage during a moderate freeze, but regals, zonals and scented leaf types will probably survive and regrow from stem tissue. Unfortunately, the freeze we suffered for several nights fell into the category of a severe freeze with temperatures below 24ï¿½F. This killed not only the leaves and flowers but also stem tissue. When the stems are killed, recovery is problematical. Plants differ in their resistance to freezing so some species are severely impacted by these temperatures, i.e. P. x hortorum (zonal geraniums), P. peltatum (ivy geraniums) and P. x domesticum (regal geraniums). But at the same time, species like P. alternans, P. oblongatum and P. carnosum tolerated the low temperatures with undamaged leaves and stems. Tender plants are those that have no capacity to avoid intracellular freezing (e.g. mostly tropical plants). Slightly hardy plants include most of the subtropical fruit trees, deciduous trees during certain periods, and fruit and vegetable crops that are sensitive to freezing down to about -5 ï¿½C [23ï¿½ F]. Moderately hardy plants include those that can accumulate sufficient solutes to resist freeze injury to temperatures as low as -10 ï¿½C [14ï¿½ F] mainly by avoiding dehydratiion damage, but they are less able to tolerate lower temperatures. Very hardy plants are able to avoid intracellular freezing as well as avoid damage due to cell desiccation. *Based upon information from University of Illinois publication VC 14 a2, Vegetable Planting Guide. 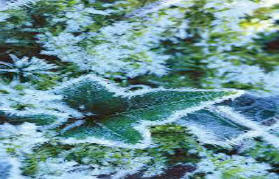 Investigations show that plants have different mechanisms by which they can survive freezing temperatures. These include (1) decreasing the freezing point of the protoplasm in the cells; (2) reducing the amount of ice formed in the cells by increasing the concentration of dissolved substances in the protoplasm; (3) tolerance of a high degree of desiccation due to the plasmolysis of the protoplasm; and (4) increasing the permeability of the plasma membrane to avoid intracellular freezing. Hardening or hardening-off of plants may enable them to tolerate low temperatures. Hardening involves the lowering of the freezing point of cytoplasm by the accumulation of sugars and other substances in the cell sap or by changes in the cell membrane stability that protects the cells against damage through desiccation. The effects of hardening can be lost during warm temperatures so it is not a permanent condition. Some plants have no capacity for hardening (tomatoes, C-4 plants). ï¿½ planting date for annual crops. Site selection means choosing an area that is less likely to be subject to frost than other areas. Moving south may not be practical but having a south facing slope may be an option. Cold air tends to move down a slope as it cools so gardening at the top of a slope may provide some protection on cold nights. Of prime importance for most gardeners is choosing the correct plants to grow in an area. This is referred to as RIGHT PLANT, RIGHT PLACE. Most gardeners like to push the limits and may choose plants which are marginally or not adapted to their garden conditions. In the longer term, this practice is doomed to failure. In an area like the Central Coast of California, the Mediterranean climate is the norm. This means winter rain and summer drought. Plants which are adapted to these conditions will thrive while others will require additional care to survive this climate. Usually that means providing them with additional, often great, quantities of water to survive the long dry summer. Obviously, for California for the foreseeable future, this is an unsustainable condition. Luckily, many species of Pelargonium come from areas of South Africa which also have a Mediterranean climate and can tolerate long periods with little or no water. Similarly, plants with no frost tolerance will be damaged and freeze damage (or death) should be expected. Tomatoes just wonï¿½t grow here in the winter. Plants that grow under appropriate nutritional conditions are healthy and may be able to withstand low temperatures because of their ability to manufacture food substances that lowers the freezing point of their cells or hardening off as described above. Late season fertilizing may encourage delicate new growth which is more frost sensitive during the fall and winter. Similarly, pruning at the wrong season may stimulate delicate, frost sensitive new growth during the colder months. 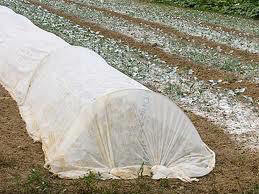 Applying protective coverings may keep plants from freezing by trapping warmer air under the covers. Sheets, burlap and spun polyester row covers offer a few degrees of protection. The protection is usually less than 10ï¿½F. Plastic offers the least protection. Covers should be removed. Anti-transpirants (WiltPruf) have been suggested as providing some freeze protection by preventing desiccation; unfortunately, scientific studies have not been able to demonstrate effectiveness. A similar product (FreezePruf) has become available in recent years but has mixed reviews. It contains a variety of compounds specifically designed to offer frost protection. Moist soil retains more heat than dry soil, so a few degrees of protection may be gained from a well-watered soil. If frost sensitive plants are to be grown they should be grown during frost free periods so the spring planting date should be after the date of the last likely frost. More active methods of frost protection include heaters (smudge pots), fans and sprinklers but are used primarily on a commercial scale in fruit (especially citrus) orchards. They are not generally practical for the home gardener. Now suppose that your plants did freeze. Maybe the freezing temperatures were so low that you could not provide adequate protection or you just didnï¿½t provide any protection to your plants. What should you do? 1. You may consider choosing other plants which are more frost resistant. Remember right plant, right place. 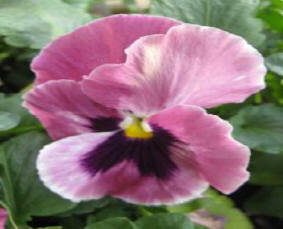 If flowers are important to you during the winter, consider annual plants like pansies, primroses, or snapdragons. 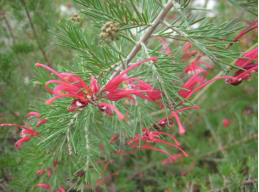 Hardy shrubs like manzanita, Ceanothus, Grevillea and heather may give you a winter show. 2. Our usual recommendation is to do nothing after a freeze. The dead leaves and stems may offer some protection against a future freeze. 3. Often however, the frozen leaves fall off the plant and one is left with bare stems which offer little or no protection. You should remember that new growth is likely to be less resistant to freezing that older, more mature tissue. In that case any future freeze event is likely to damage the new growth and some kind of protection will be necessary. 4. Another point to be considered in a normal rainy year is the decomposition of the dead and fallen leaves. If there is a dense covering of leaves which begin to rot in wet weather, the fungus growing on the wet leaves may attack the new tissue. Under that circumstance, it would be advisable to remove the dead leaves. 5. Prune away the dead tissue. Dead tissue can be recognized when it turns from green to brown. It will not regenerate. 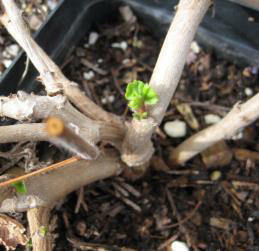 New growth may sprout from the base of a damaged stem, so a degree of patience is required. If warm temperatures follow a freeze, growth may resume in a month or two. If a freeze event is followed by more cold temperatures, new growth may not be seen for several months. 6. Look for root buds. Several of the scented geranium species (as well as the tuberous rooted species) have the ability to produce new plants from their roots. Even though the stems and leaves have been completely killed, unfrozen roots may regenerate new plants. Be patient. Many of the regals and some of the angels also have this ability so donï¿½t throw them out until they have had the chance to resprout. The winters on the Central Coast California are unpredictable. They may be frost free. There may be a few nights of frost. There may be many nights of frost. A hard freeze may occur early in the fall or winter or in the middle of the winter or near the end of winter. Any combination of the above may occur. Every year will be different. If you garden, be prepared for anything.